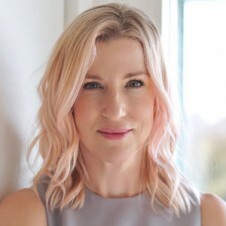 Since my approach to skincare is based on my belief that there are nine different types of skin, I don’t believe in a “one size fits all” when it comes to formulating skincare products. However, I have to say that one of the newer additions to my line (originally formulated as a mask for hormonal acne) addresses so many different problems. Because of this, it quickly has become a top seller. Simply put, it sends a calming signal to tell your skin to chill out and cooperate. Who doesn’t need some of that in their skin life?!? Here are all the amazing ways that Rapid Response Detox Masque can work wonders to improve the look and health of your skin. Breakouts have a mind of their own and show up wherever and whenever they want. Skin is skin, so this mask can be used wherever your breakouts happen to appear. The key to this mask lies in the perfect blend of active ingredients like manuka, salicylic acid, Chinese licorice (which gives the mask its yellow color), hyaluronic acid and derivative of Australian tea tree. Unlike most acne products, this will NOT dry out your skin. Instead, it creates a soothing environment that works in harmony with your skin to lessen breakout activity. 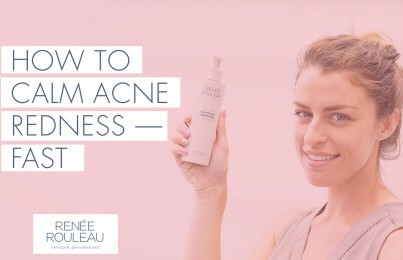 How to use: Once a week or every night after cleansing. The underlying cause of all breakouts is from hormones. You’ll find this more so in the adult years where hormones can fluctuate from birth control pills, IUD’s, pregnancy, peri-menopause, and menopause. For hormonal acne this mask can make a dramatic improvement in getting stubborn breakouts under control. Of course, you’ll also want to follow all of these helpful tips for preventing adult hormonal breakouts. How to use: Once a week or every night if needed after cleansing. There are so many different types of breakouts, but of all the kinds, cystic acne is the most challenging to deal with. While Anti Cyst Treatment was created to target and prevent stubborn cysts, Rapid Response Detox Masque can play a really good supporting role to help keep the skin settled down. How to use: Once a week or every night if needed. 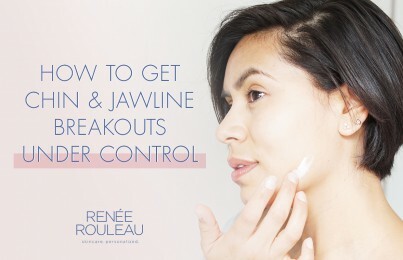 It can also be used just on areas prone to breakouts such as the chin and jawline. Rosacea, a common disorder that affects 14 million Americans is on the rise. The redness is caused by over-circulation of the blood, resulting in visible dilated capillaries close to the surface of the skin. it is considered to be the most sensitive type of skin and must be treated gently. (Skin types #5 and #9 address rosacea.) 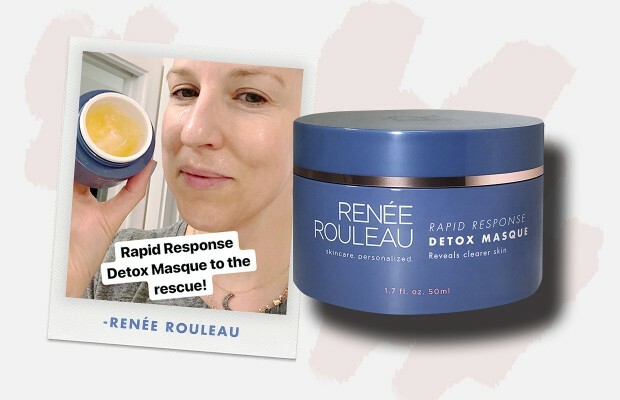 We are hearing amazing comments from our rosacea-prone customers that say Rapid Response Detox Masque has worked beautifully to reduce redness and help keep the skin in a calm state. (We’re looking at you, skin care ingredients Chinese licorice and allantoin!) How to use: Once a week or any time your skin is looking particularly flushed. Keep the mask in the refrigerator for an extra cooling experience. Ever used acne products that stripped your skin, leaving it feeling dry? (Who hasn’t?!) Unfortunately, that’s the nature of many products designed to dry up acne. If you want to quickly restore comfort to tight, dehydrated skin, Rapid Response Detox Masque is perfect. You can use it as often as every night after cleansing to balance the skin and increase hydration quickly to offset your other drying products. How to use: Whenever you want to bring intensive hydration to your thirsty skin. Not only harsh acne products but daily use of exfoliants (especially liquid acid toners), can make the skin become severely inflamed and sensitized. The goal of any product should be to make the skin look better and not worse. If you’ve overdone it, Rapid Response Detox Masque is the perfect way to put the fire out—fast. How to use: Whenever you want to bring soothing hydration to your irritated skin. The main cause of monthly period breakouts is due to a hormonal shift that occurs within the body. Rapid Response is a mask for hormonal acne to help lessen these predictable monthly breakouts. 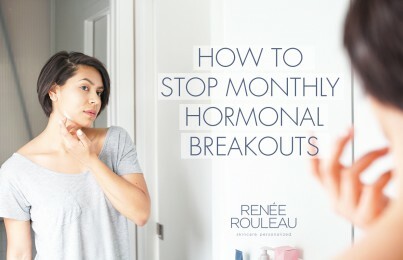 Read more tips on how to stop monthly period breakouts. How to use: Use every night for five nights leading up to your cycle. Airplanes certainly don’t do the skin any favors. A lot of people will do in-flight masks to keep their skin feeling moist and hydrated. I personally don’t buy into masking on a plane simply because I don’t think there is a big return on the effort. When you’re in a plane, the dry air pulls moisture out of the skin through a process called “osmosis.” This means that you’re pretty much fighting a losing battle the moment you remove the mask. Dehydration is a temporary condition and can be reset quickly when on land after doing a special post-flight treatment to your skin. How to use: After a flight, first exfoliate your skin to dissolve the surface dry cells. Then follow it with a hydrating mask. Together, they will return your skin back to a healthy state. The best two-step facial treatment to use post-flight is the Rapid/Peel Duo which has Triple Berry Smoothing Peel and Rapid Response Detox Masque. Get tiny bumps and a rash from getting your lip or face waxed? This type of inflammation response is all too common. Using this mask can lessen irritation to prevent bumps from appearing. How to use: On clean skin, use immediately after waxing and for a few days after until the skin appears calm. Getting clogged bumps from daily use of makeup (especially primers and cream blushes) is super common. With the newfound interest in the Kardashian-inspired makeup look, I can confidently say, it’s making people’s skin a mess underneath. Little bumps everywhere that aren’t like regular blemishes, in that they just hang out and don’t go away. These are called closed comedones. If you’re a heavy makeup wearer, using this mask at night can make an improvement in keeping your pores clearer. You’ll also want to read 12 common makeup mistakes that are affecting your skin. How to use: Use after cleansing on any day where makeup has been worn to keep the pores from getting clogged. So there you have it, all the ways that a mask for hormonal acne can help keep your skin in check. 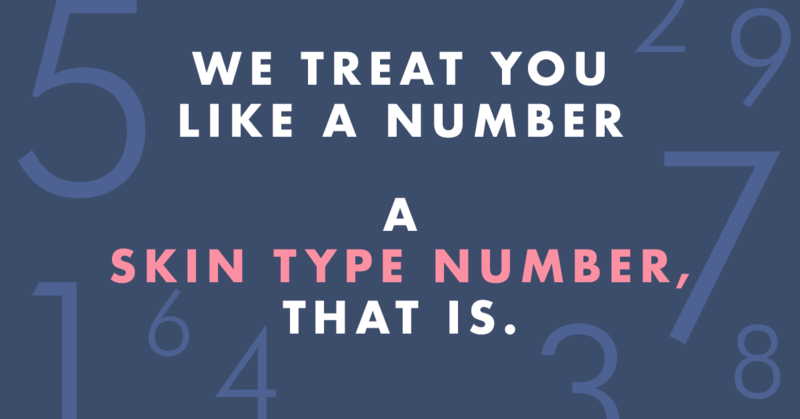 If you’re confused about your skin type, take the Skin Type Quiz to find your perfect routine. Check out these nine skin types. Experiment to see how often it works best for you but use as often as needed. It’s important to know that this mask only needs to stay on the skin for five minutes to do its job in reducing bacteria that leads to breakouts. Should you have the time to keep it on longer, you’ll get a hydrating, de-puffing, anti-inflammatory effect. No, you can’t. However, always listen to your skin. This mask should always improve your skin and make it feel better. Will it make the skin purge? No, it should not. However, for some people, salicylic acid may cause an initial purging effect. If that should happen to be the case, keep using it until the skin begins to get clearer. Does this mask help improve blackheads? Yes, it can. While it is a mask for hormonal acne, since it uses salicylic acid it can be beneficial. You’ll get the best results from this mask when used after you get your pores cleared out from a deep pore cleansing facial. Then, a mask like this used regularly can prevent them from coming back as quickly. Read how to extract blackheads out the skin. Can dry skin types use it? Yes, because dry skin will benefit from water-based hydration along with the other benefits this mask gives. Learn the differences between dry and dehydrated skin. Can it be left on overnight as a sleeping mask? Yes. We hear from many of our customers that they use it this way. If it makes your skin feel and look good when you wake up in the morning, then go for it.